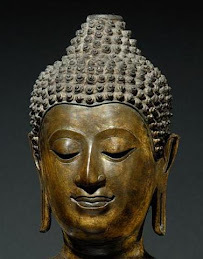 dhamma musings: What Makes A Bodhisattva? Was Siddhartha ever a buddhist? 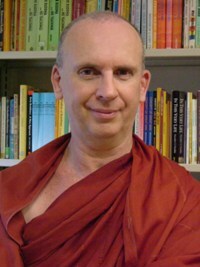 Did he take refuge to the Buddha, dharma and sangha? Do the buddhist today try to achieve enlightenment the way he did? What makes a bodhisattva is very simple: seeing that the purpose of life is to be of benefit to others. Anyone who has that understanding can be viewed as a bodhisattva. I am happy to give my permission to translate my article into Bhasa. 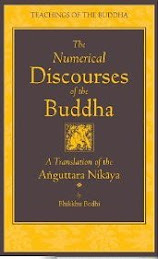 To say the Buddha wasn’t a Buddhist is, in my opinion, being a bit to pedantic. He not only practiced what he preached but he had realized it as well. That’s a pretty good definition of a Buddhist. I don’t know what else one could call him? Avalokitesvara has had a long and rather interesting life. In his earliest years and well into middle age he was a distinct individual. It was only in later life (after the 7th-8th centuries and even more so later in Tibet) that he started to have the ability to become a ‘manifestation’ of, well, just about anything. While it is good to be open to the good in other faiths it is important that we don’t go so far down that road that we end up wandering aimlessly in the forest of ‘all religions are the same’. 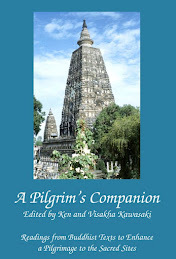 Then the unique insights and perspectives of the different faiths are thrown overboard in the name of ‘globalized’ spirituality. of course it is pedantic, I am German ;) The point I wanted to make is that in my opinion it is really ridiculous to make a state of mind, the bodhisattva mind, dependent on more or less strict formal criteria. Anybody can realize this state of mind, which I think os in most aspects not expressible on words and can not be pinned down to a distinct behavior as most of our daily behavior is culturally "standardized". Buddhism is a tool, not more not less. I am far away from claiming that all religions are the same, have the same inherent truth or a common mythical core, as the Bahai do. I greatly appreciate the diversity among people, cultures and religions. Well said – even for a German. If I make the vow to become a Buddha in the future that aspiration puts me upon the Boddhisatva path....unofficially. It also blocks me from reaching the state of Ariya so commiting myself to innumerable lives perfecting myself. It only starts officially when I make the same aspiration in the presence of a Buddha, who also confirms that I will reach my goal. The number of beings which actually reach Buddhahood after making such an aspiration is said to be compared to one grain of sand against all the sand in the world. 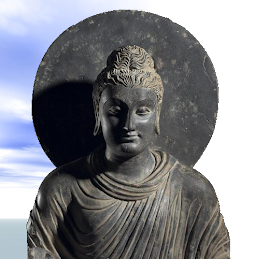 Having met a Buddha, a rare and precious event, it would be easier to ordain and become one of his monks with a very good chance of attaining to arahant. This is why Buddhas are so worthy of praise, what they suffered stuck in samsara for billions upon billions of aeons. Hello, there is a typo in your article. "Now it seems to me that whether such miracles actually happened is irreverent." Should be "irrelevant" I believe. Thanks for the article on bodhisattvahood.